Chaidh a’ bhuidheann ClannGàidhlig a stèidheachadh ann am Màirt 2004 airson an cànan agus an cultar Gàidhlig ag adhartachadh anns an sgìre ionadail. ’S e sgìre na comhairlean Siorrachd Rinn Friù an Ear, Inbhir Chluaidh agus Siorrachd Rinn Friù a th’ ann. ’S e guth na coimhearsnachd a th’ ann am prìomh amas ClannGàidhlig – guth airson na daoine aig a bheil ùidh anns a’ chànan agus a toirt cothrom dhaibh cuideachd a tighinn ri chèile aig tachartasan sòisealta agus airson an eòlas a’ leasachadh. Bidh sinn a cuir air dòigh caochladh tachartasan sòisealta – cèilidhean, cuirmean-ciùil, òraidean, splaoidean agus tachartasan cànain na measg. Bidh fàilte chridheil air duine sam bith aig na tachartasan seo. Seall air an duilleag TACHARTASAN airson tuilleadh fiosrachaidh. Bidh sinn a cruthachadh Cuairt-litir “Seanachaidh” gach ràith airson fiosrachadh a thoirt dhan ballrachd mu thachartasan, ionadail ’s nàiseanta. Airson lethbhreac fhaighinn putaibh air “Downloads” gu h-àrd. Carson nach tig sibh còmhla rinn? Bidh ballrachd ar buidheann fosgailte gu duine sam bith aig a bheil uidh anns a’ chànan agus cha chosg ballrachd bhliadhnail ach £5. Airson Bileag-iarrtas Ballrachd fhaighinn, putaibh air “Downloads” gu h-àrd agus às dèidh dhuibh a lìonadh cuiribh am foirm thugainn, no cnag seo. Tha na comhairlean ionadail, Siorrachd Rinn Friù an Ear, Inbhir Chluaidh agus Siorrachd Rinn Friù, a co-obrachadh airson taic a thoirt dhan Ghàidhlig agus tha Oifigear Leasachaidh na Gàidhlig a stèidhichte a bhios ag obair leis a’ choimhearsnachd. 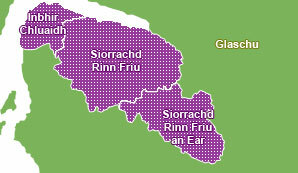 Bidh ClannGàidhlig fìor thoilichte taing a toirt do Bhòrd na Gàidhlig agus na comhairlean airson an taic ionmhasail. Tha buaidh nan Gàidheal air leth follaiseach bho ainmean-àite na sgìre – seall air cho tric chithear sibh ainmean le “Cille-“ no “Srath-” na phàirt. O chionn fhàda, tha an t-abhainn Chluaidh air a bhith àite ruighinn ’s fhàgail traidiseanta aig na muinntir Gàidhealach, a’ siubhal eadar na h-eileanan ’s tìr-mòr gus obair fhaighinn no teaghlach fhaicinn. Bha an abhainn seo na àite cudthromach, cuideachd do dhaoine a dhol thall thairis airson beatha ùr ann an Ameireaga, Canada ’s àiteachan eile. An-diugh, a rèir an Cunntas Sluaigh, bha còrr is 3,000 daoine le comasan anns a’ chànan anns an sgìre againn fhèin. Am measg na daoine ainmeil le ceanglaichean làidir anns an sgìre, bha Màiri Mhòr nan Òran agus Dòmhnall Ruadh Phàislig. Chaidh am Mòd Nàiseanta Rìoghail a chumail ann am Pàislig ann an 2013 agus bha e soilleir gu bheil ùidh anns a’ chànan a fàs nas treasa. A bharrachd air ClannGàidhlig fhèin, bidh na buidhnean SONAS agus Na Gàidheil Phàislig a cruinneachadh gu tric airson a chànan a cumail beò.